The Kudzu Kids visited their friend Zina Jacinto, who told them about an issue in the neighborhood that had been troubling her. Zina Jacinto: Sit! Sit! You children have done enough for today. Relax and cool off for a bit. Zach Burgess: You’re all set for trash pick-up. The bins are out at the street. Emma Wooten: We raked up all the grass clippings. The yard looks great! Melody Cheever: You’re low on cat food, Miss Zina. Zina Jacinto: I know. I’ve been meaning to get out to get some. Zach Burgess: Do you need us to bring some over? Emma Wooten: Yeah. You’re never low on cat food. Are you OK? Zina Jacinto: Well, I’m just not comfortable going into that store lately. Rachel McGowan: The pet supply store? But you love it there. What happened? Zina Jacinto: There are so many sad pictures. So many sad stories. Emma Wooten: But you’re helping them! You already found homes for Twinkles and Bad-Bad-Frankie. Zina Jacinto: Oh, yes. Those are happy pictures and happy stories. It’s the dogs. Zina Jacinto: The pictures on the board. 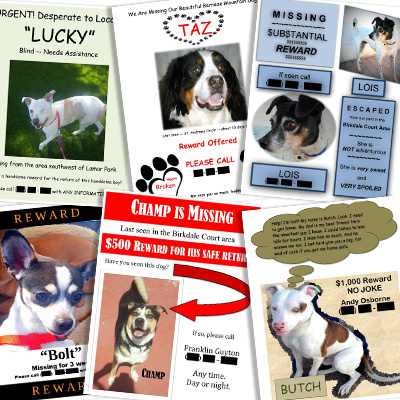 Rachel McGowan: The missing dogs on the bulletin board? Zina Jacinto: Yes. There are so many. Too many, it seems to me. More than usual. Emma Wooten: There’s always a few dogs who are missing. Zina Jacinto: But that bulletin board is full of flyers. I’ve never seen it so full. It breaks my heart to look at it. Melody Cheever: I’m sorry, Miss Zina. Zach Burgess: Yeah. Don’t stress. We’ll bring you some cat food, so you don’t have to look at the sad pictures. Zina Jacinto: Oh, thank you. You kids are so sweet. Zina Jacinto: Did you hear that? Rachel McGowan: No. I don’t think so. Did you, Zach? Zach Burgess: I think it was my stomach growling. Melody Cheever: What did you hear, Miss Zina? Zina Jacinto: A dog barking. From across the street. Emma Wooten: Near the empty house? Zina Jacinto: Yes. Does that sound crazy? Zach Burgess: Maybe some neighborhood kids are messing around over there. You know, because they know it’s abandoned. Let’s go take a look. Zach Burgess: Not even from the road? Zina Jacinto: No. That property was, and still is, off limits. Your parents are right to forbid it, and I won’t discuss it. Melody Cheever: Are you writing it all down in your log, Miss Zina? Zina Jacinto: You bet I am. I was in the habit of keeping detailed notations long before you children went to CSI camp this summer. Rachel McGowan: A written log is associative evidence, and it’s valuable. Zina Jacinto: You bet it is. Victor always accused me of losing my marbles, but my little logbook of neighborhood activities proved him wrong. Listen! Did you hear that? Zach Burgess: No, sorry, Miss Zina. But my mom says I listen to my music too loud with those ear buds in. Maybe that’s why. Zina Jacinto: Or maybe Victor was right. Maybe I am losing my marbles. Melody Cheever: I believe you, Miss Zina. Emma Wooten: Hey, Rachel, will you text your dad to see if he can come get us in his truck and take us to get cat food? Rachel McGowan: Sure. Good idea. Zach Burgess: So, Miss Zina, if we can run that errand tonight, we’ll bring the cat food by tomorrow. Then I can pull your trash bins back over to the side yard. Would that be OK? Zina Jacinto: Yes, Zach. Thank you. Zina Jacinto: Well then, let me get my wallet. And while we wait, you four can tell me more about your adventures in CSI camp.